Dr. Claudia Pearce, UMBC Alumna and Senior Computer Science Authority at NSA, shares a personal story of perseverance in her educational, research, and career journey as a computer scientist. 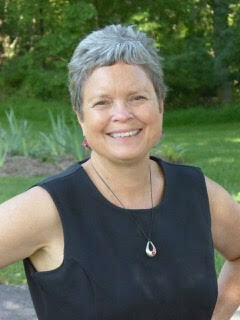 Claudia Pearce, UMBC Alumna (’89 M.S. in Computer Science and ’94 Ph.D. in Computer Science) and 2014 COEIT Alumna of the Year awardee, is currently the Senior Computer Science Authority at the NSA. In her time at the NSA, Pearce has created development programs for computer science and information technology new-hires to NSA, a short-course series on high-end topics in CS and IT, a summer intern program and organized a distinguished lecture series. In addition, she has created a computer science grants program with the National Science Foundation, for computer science education and outreach. She has also served on the Advisory Board of the Anita Borg Institute for Women in Technology and UMBC’s College of Engineering and Information Technology Advisory Board. Prior to becoming the NSA’s Senior Computer Science Authority, Pearce served as the Chief of Knowledge Discovery Sciences, where she directed a research team that created Knowledge Discovery applications. From 2000-2003, Pearce was part of the Senior Technical Development Program. While involved with this program, Pearce collaborated with organizations such as the Johns Hopkins Applied Physics Lab and Magnify Research, Inc., on topics such as “applications of data mining techniques to natural language processing.” As a Senior Computer Scientist from 1985-2000, Pearce conducted research in the area of databases and information retrieval systems. Pearce received a B.S. in Mathematics from the University of Florida in 1973, graduating with High Honors and a Phi Beta Kappa distinction. She received an M.S. in Industrial and Systems Engineering from the University of Florida in 1974. In 1989 she received an M.S. in Computer Science from UMBC. She also received a Ph.D. in Computer Science from UMBC in 1994. The research that inspired the Beyond Watson workshop ties into questions that are relevant to information retrieval systems. Questions such as “how do you find the right documents out of very large collections of text?” and “what are the kinds of languages, tools, techniques, infrastructure [needed]…to build our own Watson?” Pearce notes that she’s “always been interested in databases, and in particular text and natural language databases, and this notion of answering questions.” Furthermore, information retrieval systems was the topic of her Ph.D. dissertation.